Posted on 04 December 2015. 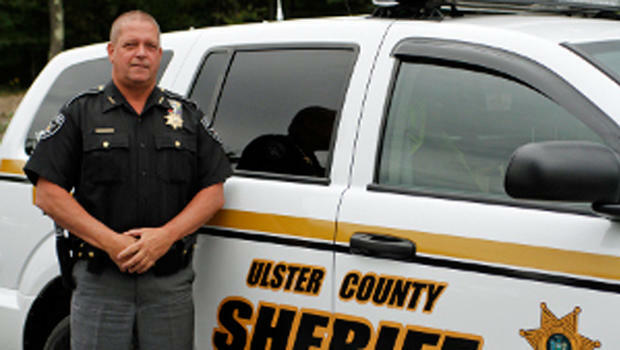 ULSTER COUNTY, N.Y. -- The sheriff of upstate New York's Ulster County incited a slew of controversy on social media Thursday when he urged citizens there who are properly licensed to carry their guns. The comment, which came a day after 14 people were killed in gun rampage in San Bernardino, Calif., was posted on the official Ulster County Sheriff's Office Facebook page and was signed by Sheriff Paul J. Van Blarcum. The office confirmed to the Poughkeepsie Journal that Van Blarcum posted the message. The post went on to say licensed gun owners should be "comfortable and proficient" with their weapons and aware of state laws regulating gun use. He also encouraged active duty and retired police and peace officers to carry a weapon whenever they leave their homes. "We are the thin blue line that is entrusted in keeping this country safe, and we must be prepared to act at any given moment," the post read. Ulster County is about two hours north of New York City. The post has been shared nearly 15,000 times and "liked" by more than 10,000 users. More than 1,200 have left comments ranging from messages of thanks, support and agreement to blistering rebukes calling the post dangerous, reckless and irresponsible. "It takes a good guy with a gun, to stop a bad guy with a gun. Thank you sheriff!" wrote one commenter. Another wrote: "Considering the FACT that many of the massacres we have witnessed in our country were done with legally-purchased guns, I can not believe our sheriff's dept would write such an irresponsible directive. You are encouraging vigilantes. Please delete this." The sheriff did not immediately return a request for comment from 48 Hours' Crimesider. Eugene O'Donnell, a former NYPD officer and a professor at John Jay College of Criminal Justice, said the possibility for armed licensed citizens or off-duty police officers to aid in dangerous situations shouldn't be discounted -- in a small number of cases, he said, civilians have been able to intervene in mass shooting scenarios. But any discussion or study of armed citizens stepping in should come with "heavy disclaimers," O'Donnell said. A civilian with a gun could potentially make a mass shooting situation worse, he said -- the possibilities for police confusion or accidental discharges could lead to more deaths, rather than fewer, and citizens "self-deputizing" or acting as vigilantes is another potential danger. "Is there some chance armed off-duty police or civilians could either stop or mitigate one of these events? You have to think the answer is yes," O'Donnell said. "But we need to be careful, we need to go slow, we need to be reasonable."